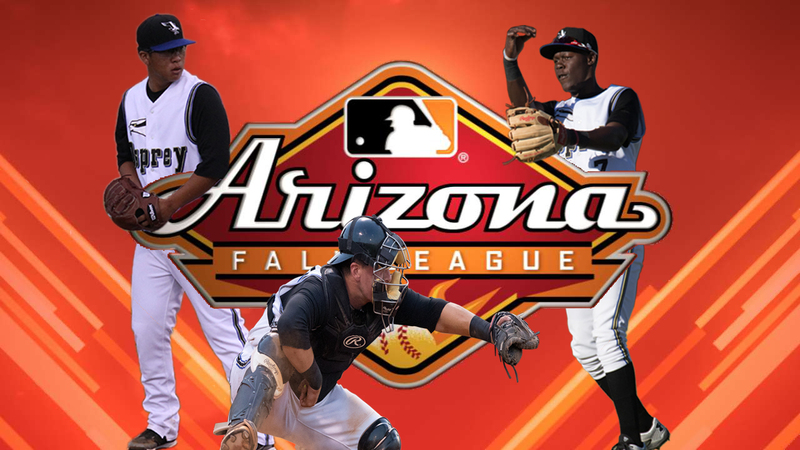 On Thursday, the Arizona Fall League announced their preliminary rosters for the 6 week league which has helped prospects take the next step to increase their value, and often become elite level big leaguers. The six teams, comprised of prospects from all 30 organizations, feature 17 of MLB.com's Top 100 prospects and already more than 80 members of team's "Top 30" lists. Three former Osprey have earned the right to be named amongst the game's top prospects as they prepare to compete in the AFL - Pitcher, Rodrigo "Bo" Takahashi (2015) SS Jasrado "Jazz" Chisholm (2016) and Catcher, Dominic Miroglio (2017). Bo Takahashi, an essential cog in the starting rotation for Missoula's 2015 championship season, finished his time as an Osprey with an 8-1 record, an ERA of 4.66 and 54 strikeouts. In 2018, Takahashi started 9 games for A(Adv.) Visalia and 13 games for AA Jackson, racking up 122 strikeouts over 113 innings with an ERA of 4.28 and WHIP of 1.24. A Missoula fan favorite, Jasrado Chisholm, arrived in Missoula for the 2016 season as a relative unknown prospect. Chisholm produced an electric season with the O's, both in the field and at the plate, where he hit for an average of .281 with 9 HR, 37 RBI and 13 SB and was named a 2016 PBL Mid-Season All-Star. Just two seasons removed from Missoula, Chisholm is now the Diamondbacks #2 prospect and looks to take the AFL by storm. Dominic Miroglio, a 20th round selection of the Diamondbacks in 2017, has continued to produce at every level. As an Osprey in 2017, Miroglio produced a slash line of .317/.384/.430. Perhaps most impressively, behind the plate Mirolglio managed 272 putouts, 43 assists, caught 18 attempted base stealers all with only 3 errors and was named a 2017 PBL Mid-Season All-Star. In 2018, Miroglio was the battery mate for the Cal League Pitcher of the Year, former Osprey, Emilio Vargas, in addition to being named to both the Mid-Season and Post-Season All-Star rosters. With hundreds of future Major League All-Stars having come through the Fall League since its inception, including 29 Rookie of the Year winners, 20 MVPs and 6 Cy Young recipients, the former O's will look to make a strong impression on the world of baseball this fall. The Osprey and Mustangs continue the 4-game series on Thursday night at Ogren Park Allegiance Field with first pitch at 7:05pm. Thursday Night is Osprey We Win You Win Night. If the Osprey beat Billings, everyone who stays for the entire game will get a free ticket to the final homestand of the season next week versus Helena. Tickets are on sale now at the MSO Hub in downtown Missoula or by visiting the Osprey at www.missoulaosprey.com.